Alrick Archer of Windsor won $150,000 with The Bigger Spin Instant Game (#2124). 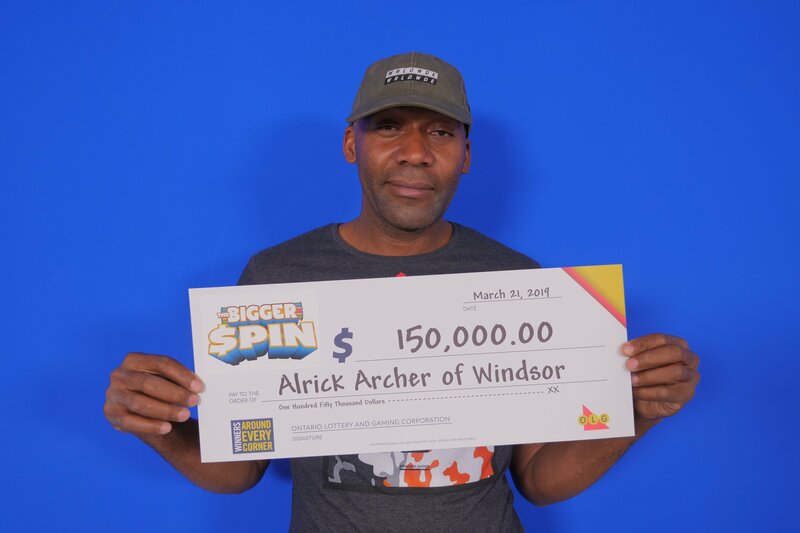 The Bigger Spin Instant game is an exciting new $10 game that combines popular scratch play with prizes revealed in-store by an animated spinning wheel on the lottery terminal screen and potentially, an in-person spin on The Bigger Spin Wheel at the OLG Prize Centre in Toronto. The winning ticket was purchased at Double Seven Gas & Car Wash on Huron Church Road in Windsor.